Read over the instructions below, watch the full length video or watch this short gif to learn how to portrait flow. Sending us your Portrait CD and your Retakes CD allows us to upload all your images AND the special files that match your student names with their images. Resist the urge to type student names under Portrait boxes. This only works if you wish to drag and drop each image separately. Trust us - you want to use Portrait Flow. You have many options when planning how your Portrait page will look, but planning ahead will help decide how to tag images in the Image Library and choose your templates. 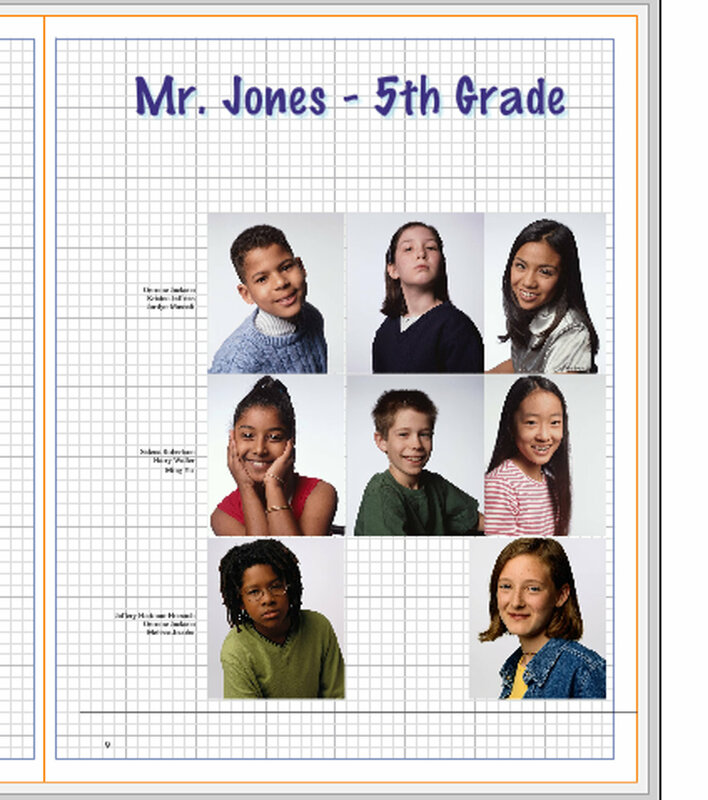 Choose your Portrait templates based upon your layout and the number of students in the grade or homeroom. You aren't required to use the same template on every page - and any of our portrait templates are editable by you. Do you want an entire grade to flow together? Your Portrait folders will contain one full grade in each folder. Do you want to separate classes by teacher or room? Your Portrait folders will contain one homeroom in each folder. Do you want your teacher to flow in alphabetical order with the students? Make sure the teacher image is IN the same folder as the students, mark the teacher's image type as "student". Would you rather have your teacher in a separate call out box at the head of the class? Place the teacher's image in a separate Teacher folder (for all teachers), lock the teacher image box, and after flowing, unlock the teacher box and drag their image into the box. Would you rather just have all teachers on a faculty page? 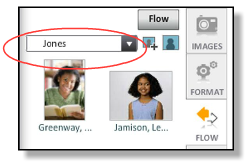 Place the teacher's image in a separate Teacher folder (for all teachers) and flow this folder on the Faculty page. Check your Portrait Information in the Image Library. "Portraits" are traditional single person headshots. You will find your Portraits under the Portrait category in the Image Library. Portraits are typically divided into additional folders by grade or by teacher. If you do not specify a sort order OR your photographer files did not include the sort you specified, we will sort Elementary students by teacher and Middle / High School students by grade. To edit a name that is correct, but misspelled, click the little pencil icon found on the People tab next to the name. You can type over what appears in the boxes. This will update that person's name on EVERY image where they are tagged. To completely remove an incorrect name, click the circle X icon found on the People tab next to the name. Now click the ADD button to type the new name. Are Students in the correct grade or classroom? Drag them to the correct one if necessary. Check for a NO DATA folder too. Are Student names spelled correctly? 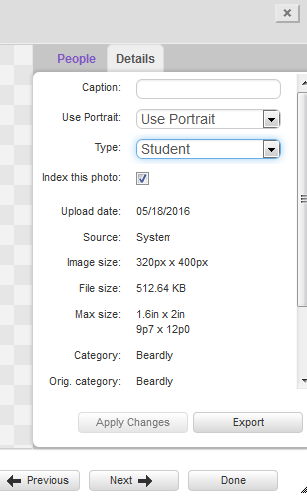 Edit a student's name by double clicking their portrait and clicking on the People tab. Delete and add a name if the student's name is completely inaccurate. Is Use Portrait marked accordingly for the portraits you plan to use and for the ones you do not? Use Portrait and Portrait Type are two tagging features found on the Details tab of your images. All portraits will default to Use Portrait in the Use Portrait drop down. Don't Use Portrait keeps the image available for another page, but does not flow the image in Portrait Flow. Use No Photo allows the person's name to be flowed, but will use a 'placeholder' instead of their actual photo. Is Portrait Type marked appropriately for the template you've planned? 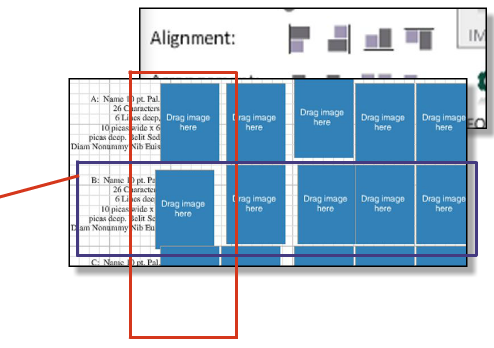 Place a Portrait Template on a page in Page Designer. Navigate to your Page Designer (Create > Page Designer) and find a portrait template from our selection of templates. If you can't find one that exactly suits your needs, then modify an existing one. It's much easier to remove extra image boxes than to add them. Click the Designs button from the right side button menu in Page Designer. Click the Page Surfer tab and select Portraits from the drop down. Drag and drop a template onto the page. Save your page with the blank template. Seriously - do NOT skip this one! Once you have your template edited, don't forget to save the page BEFORE you begin selecting categories to flow. You can also save it as a custom template (File > Save As Template). Now you can use it on all of your Portrait pages. It also makes "resetting" and reflowing so much easier. Plus, if you would call us for help, having your original template saved really saves a great deal of time spent with us. We love talking to customers, but we want to fix things as quickly as we can for you. If you flow and find out something isn't working correctly, don't forget to resave any changes you make to that template. Click the right side Flow button. 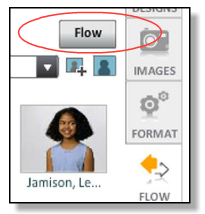 From the right side button menu on Page Designer, click the (large) Flow button. This will display the Portrait categories available for flowing. Do NOT drag images onto pages from within the FLOW button. If you need to bring teacher images over in a special call-out on the page, you'll want to use the IMAGES button for that. Select a Portrait Category to flow. Choose the classroom or grade from the drop down menu. You will see the number of images listed in the Portrait Panel, the number that has been flowed, and the number remaining. Make sure you have enough image boxes available for the category you plan to flow. This could be on a single page or across multiple pages. Plan ahead. It is easier to remove extra than to add more. The (small) Flow button begins the Flow process. 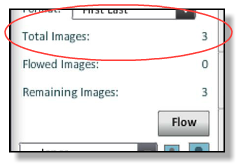 If there are more portraits than image boxes, a popup will appear at the end of each page and prompt if you wish to continue flowing on the next page. Click Yes to continue or No to stop the process. You can always return at another time. To flow only on a right side page, checkmark Right Page on the View menu. The Portrait Flow will begin in the upper left corner of that page. Check the pages for the correct alphabetical order. Make sure that boys have boy's names and girls have girl's names. If teachers were included with their classes, see that they have been placed in the correct position. If you see duplicate images or names not in alphabetical order, the most likely cause is image/text box misalignment. If you are sure there will not be any additions to the class, you can remove any additional image boxes and text labels. It may be easiest to wait until you are almost ready to submit your pages to do this type of final editing. Each image box MUST have a text box associated with it or portraits will flow out of order or not at all. For templates with right or left side text boxes, one text box matches an entire row. For templates with names under images, each text box matches an image box one-for-one. 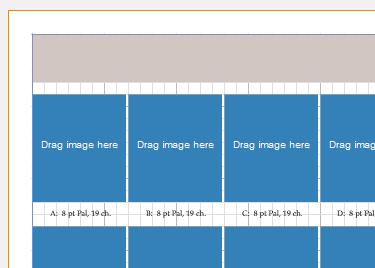 Image boxes MUST be exactly aligned in rows and columns or portraits will flow out of order or not at all. See Formatting for using Align. Do I have to type all the Student Names on the Page? Nope! When you receive your Portrait CD, label it with your job number and send it directly to us. After we receive and upload your portrait disc, you'll be able to use our automated Portrait Flow feature to work with your student images. We'll send you an email to let you know we've received your disc - and again when it's been uploaded to your site. Can't find your images??? Click the gray arrow next to Portraits in your Image Library. 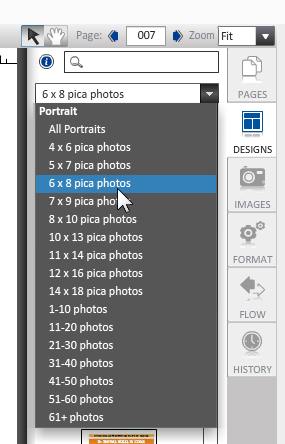 That toggle opens the Portraits category and shows all the subcategories or folders within it. What if I don't know everyone's name? Ask for assistance from classroom teachers or staff to review the portrait information for their class. You can provide them with a list of photos and names. Use the Preview button to create a PDF of the contents of an entire category. Highlight the category and click Preview. You may print this using your PDF viewer. I still have retakes coming. Do I have to wait for those? We know it is really hard to be patient when you want to design pages, but if you can wait to use the Portrait Flow tool until your Retakes are uploaded, you will limit the number of times you have to reflow a page. Work on backgrounds, clipart, or headers instead. If you can't wait, then leave the extra image and text boxes from the Portrait template on the page. It is easier to remove them later than to add them back again. My portraits are really small. What happened? Most student portraits are 1.6" wide x 2" high. These are the "trade with friends" size. If you want larger "wallet" size photos in the yearbook, you may need to let the photographer know ahead of time. You can always use a smaller template size with larger portraits, but smaller images will not flow into larger sized templates. Why do I have a "No Grade" (or No Data) folder? If a "No Grade" or "No Data" category exists on your disc or in your Image Library, it contains portraits of students who were not placed in a particular classroom or grade. Drag and drop their portrait into the appropriate Category and they will flow with the class. You can delete the category from the Image Library when the Portraits are removed. How do I sort out my portraits? You may want to specify to your photographer how you will be flowing portraits so the right information is collected when your students arrive for their sitting. Traditionally, elementary students are grouped by teacher or room. Middle and high schools typically group alphabetically by grade. This means when you use the Portrait Flow tool, your elementary students will have a class page for each class, for instance page 5 is Mrs. Smith's 5th grade, page 6 is Mr. Miller's 5th grade, etc. For your middle or high school pages, all of grade 12 will be in alphabetical order on pages 7, 8, and 9, then grade 11 on pages 10, 11, and 12. Just let us know when you send the CD, how you intend to group your students. If the index.txt file on the CD allows, we'll load them into your Image Library in that order. How do I flow on the right-side page? If you are viewing facing pages, go under the View menu and select Right Page. Now only the right page is showing, and the Portrait Flow will begin in the upper left corner of that right-hand page. How do I flow across multiple pages? If you prefer to have your students in alphabetical order across both pages at once, this is a manual process. We don't recommend this method - if any corrections need to be made, they will need to be made manually and you cannot use Portrait Flow.